Virginia William LeGrand was born on 8 January 1841 in Alabama. She was known as Willie. John Henry Gindrat and Mary Gatlin Harris appeared in the US federal census of 1 June 1850 in Montgomery, Alabama, enumerated next to Mary's sister Sarah Pickett.. Other members of the household included Virginia William LeGrand. Willie LeGrand is identified as Milly Gindrat. wrote: ". . . Pa & Ma you know left 5 children, 4 girls and one son. They are all married and doing well except the youngest. She is now grown, 18 years old this month, she only came out as a young lady this winter, has been going to school all the time. Mrs Gindrat the lady that raised her has no children of her own, she treats Willie as though she was her own child. She has had every advantage. The rest have all had the same good luck. I have seen none of them since we moved to Texas 9 years ago. Willie is comming to see me this spring, Mrs Gindrat speaks of coming with her. Happy will be the time when we meet. Brother Milton deserves a great deal of credit. He went out to make a living for himself at 16 years of age. He now owns part of a large drug establishment in Montgomery Ala, his father-in-law and himself are in partnership. Brother is a very steady hard working man, attends very closely to his business. He has only one child, a little girl. Sister Margaret married a Mr Weaver, she has three little daughters. Sister Cornelia married Dr Johnston, a dentist. She has a little boy only a few months old. They are both living in Selma Ala. We all correspond. . . ."
wrote: ". . . I had a letter from Sister Willie yesterday. She is to be married next month. They speak of making me a visit immediately. Cant some of you meet them here. I would be glad to see you, and she would love to meet an Uncle. Come if you can and let us have a rejoicing. Brother Milton has quit the drug business and bought the place we left in Alabama. I do not know whether he will farm or market. He has not written me himself, am looking for a letter every mail from him. Uncle he is a noble man, I wish you knew him. . . ."
She married Virgil S. Murphey on 9 April 1860 in Monroe County, Alabama. John Henry Gindrat and Mary Gatlin Harris appeared in the US federal census of 1 June 1860 in Burnt Corn PO, Monroe County, Alabama. Other members of the household included Virginia William LeGrand. Willie LeGrand is identified as Willie Gindrat, and she also is enumerated with her husband Virgil Murphey in Montgomery County. Also enumerated in the Gindrat household was overseer William Crawford. Virgil S. Murphey and Virginia William LeGrand appeared in the US federal census of 1 June 1860 in Montgomery PO, Montgomery County, Alabama. Information about this household actually was recorded on 4 August. Virgil S. Murphey and Virginia William LeGrand appeared in the US federal census of 1 June 1870 in Montgomery, Alabama, enumerated in the household of Frederick Warren. Virgil S. Murphey and Virginia William LeGrand appeared in the US federal census of 1 June 1880 in Montgomery, Alabama. Virginia William LeGrand died on 6 December 1884 at age 43. 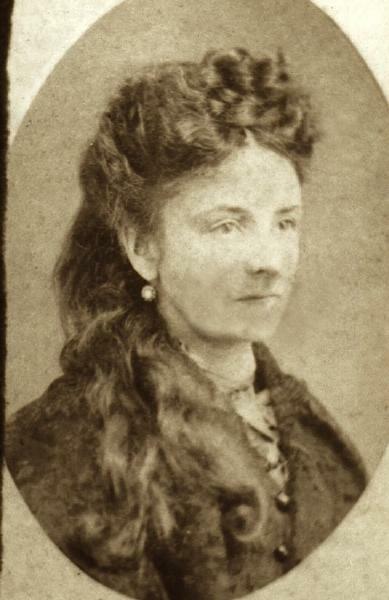 Her husband Virgil S. Murphey became a widower at her death. She was interred at Oakwood Cemetery, Montgomery, Alabama. A single grave marker identifies the graves of Virgil S. Murphey and Virginia William LeGrand.